The Walking Mind | Mostly about games, but with occasional detours into other nerdy territories. 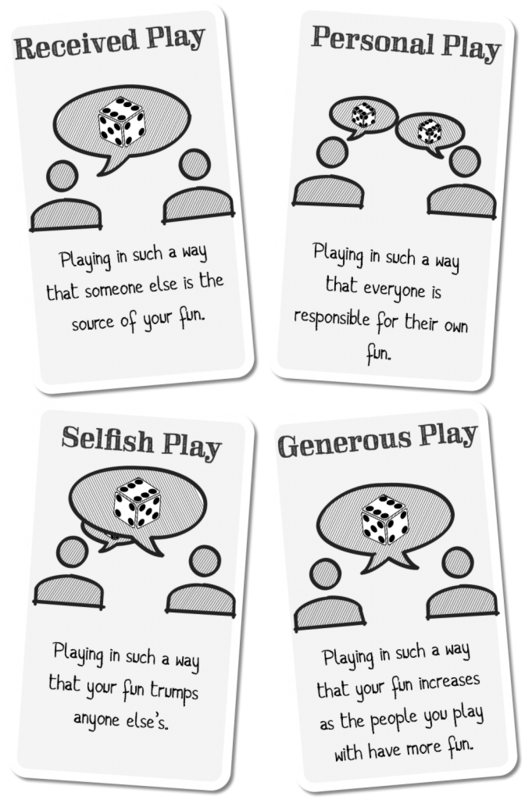 These four modes are far from all-encompassing, but I wanted to talk about generous play because it is what I, personally, strive for and seek. This is not the only way to play, an I am absolutely not pushing it onto anyone who wants other types of fun (including undepicted ones, like competitive play or tangential play or the like). This is probably the tip of a future iceberg because in naming generous play, it becomes something I can speak to in terms of best practices, tips and tricks. These are not all-purpose suggestions, but rather they are things which might be useful if you also seek generous play. This is on my mind due to some strange conversations afoot about the role of GM. I don’t want to delve into them too deeply because I think the specific conversations have gone pretty far off the rails, but the underlying topics regarding the GM’s role at the table and their relationship with fun are important. There are absolutely cases out there where the nature of the role in a game has a warping effect on the social rules surrounding play, and you can end up with tyrant GMs who use their position as a blunt instrument to maintain authority. This is a bad thing. And games are not going to solve it. When this happens, there is a much deeper social breakdown going on, and games are just the arena of choice. That is not going to instantly become a healthy group if they switch over to cross country skiing. But games might help keep us from getting to that space. Often is it born from a model of received play – the players are there to be entertained, and the GM is there to provide the entertainment. This seems benign enough, but it sets up a scarcity-based model where the players rely on the GM for their fun, and thus the GM may give or withdraw that fun as a tool of power. This is obviously messed up, but if it’s your only exposure to a play dynamic, it may not be obvious how brittle a threat that is. Most GMs I know are personally inclined towards generous play, even if they’re the only person at their table who is. I would go further to say that this tendency is essential to GMing being a healthy, engaging pastime rather than something more like a job or authority role. If the GM is not finding her fun in her player’s fun, then she needs to find it somewhere else, and those somewhere else’s are kind of sketchy. Critically, most of my favorite players also subscribe to this model. They’re there to have fun, and they engage the rest of the table to help drive that fun. If you get a table full of people playing this way it can be a joy to watch as the fun-ball gets passed around with vigorous enthusiasm, and the desire to elevate each other elevates the whole table. This is MUCH MUCH easier to say or intend than it is to *do*. If you turn to someone and say “Hey, play more generously!” they will be rightly puzzled as to what exactly you’re asking and how that could even be done. Generous play requires trust, confidence and bravery as foundations, and even if you have those things, it then requires practice to do well. it’s a skill. a hard skill. But as a skill it can be learned. So when I talk about the tip of an iceberg? The rest of that iceberg is going to be about learning that skill. 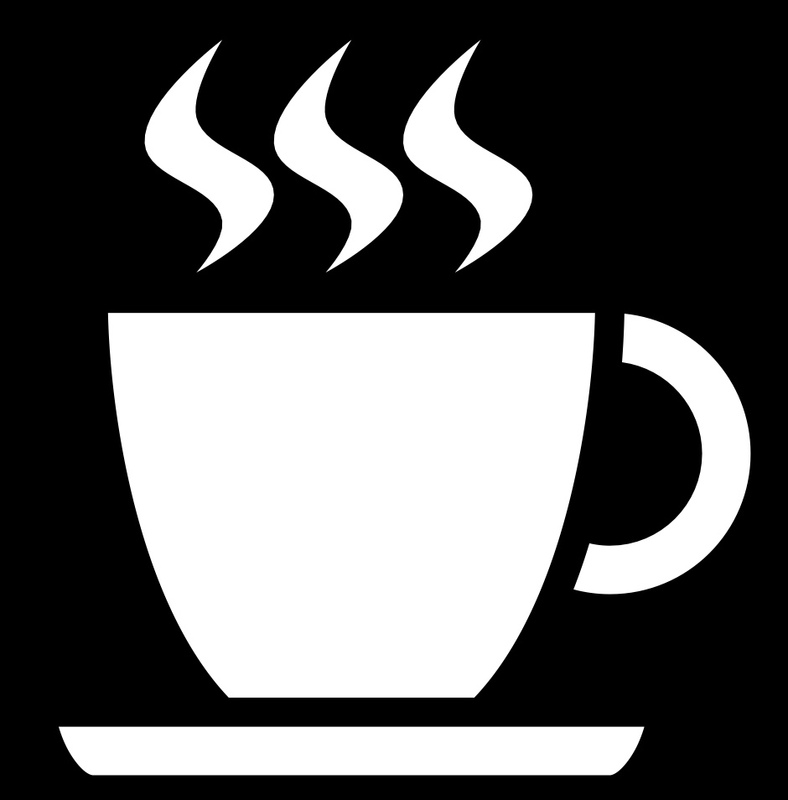 Partly for my own sake – talking through this stuff is good for me – but hopefully it will be of use to others. This entry was posted in Generous Play on February 28, 2019 by Rob Donoghue. I love clocks in Blades in the Dark, and have written about that before. What’s curious is that Apocalypse World has clocks, as do other PBTA games, so I’d encountered the idea previously, but it had never really grabbed me. 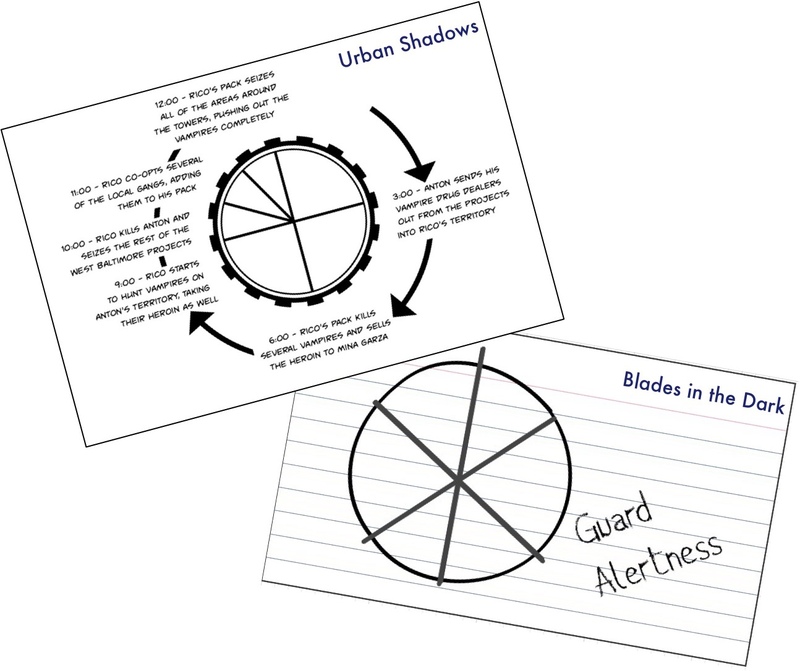 I hadn’t thought about this much, figuring it was just part of the general Blades awesomeness, but it jumped out at me as I started prepping for an Urban Shadows game I’m running. So, Urban Shadows has a pretty neat campaign planning trick called Threats and Storms. There are some guidelines for types of threats and what they do, but structurally, the threats have a 6 step plan that starts with a promise of trouble and culminates in trouble, and the threat attempts to advance the plan, moving through the steps. Tie a couple of these threats together and you’ve got a Storm, and you’re ready to go. This is a pretty good model. Good enough that I want to fiddle with it, but that’s another post. But there is one element of it I did not like at all, and that is the physical presentation of it, and it illuminated something about clocks to me. 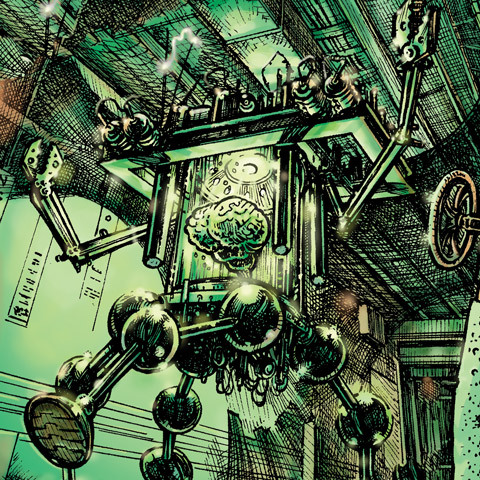 See, Urban Shadows uses Clocks to illustrate this idea, and specifically it uses the Apocalypse World style clocks of 3 quarters followed by 3 twelfths1. 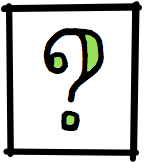 It then maps each step of the plan to a wedge of the clock, which is simply more information than the clock can hold, so it required secondary notation, in a style like this from the Threats sheet. Now, this is not broken. It can work. But to me, it’s like watching someone drive a nail with a wrench. It’s a mismatch of tools – I would expect the construct that I’m using to track these things to be able to contain them. 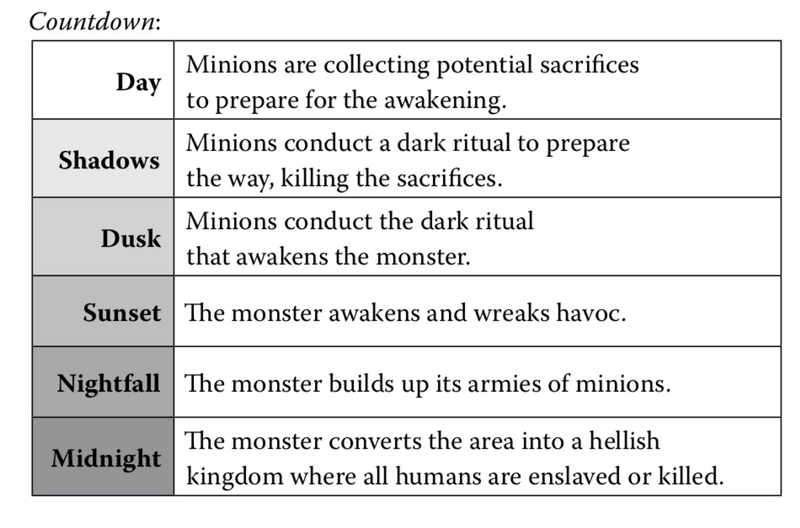 As an example, Monster of the Week has a similar model of threats called “Arcs” – six step plans leading to badness – but it lays it out in a tabular format, with falling darkness as its framing metaphor. This does not look as cool as the clock, but it is rather mor functional. And, in fact, when I ended up writing my threats (by hand), I used a worksheet rather more like MOTW, because it gave me enough room to think as I wrote, rather than focus on squeezing things in. I am not holding this up to say the Urban Shadows clock is bad, rather to highlight how they’re used. The US clock is information-dense, with triggers and information at every step along the way. 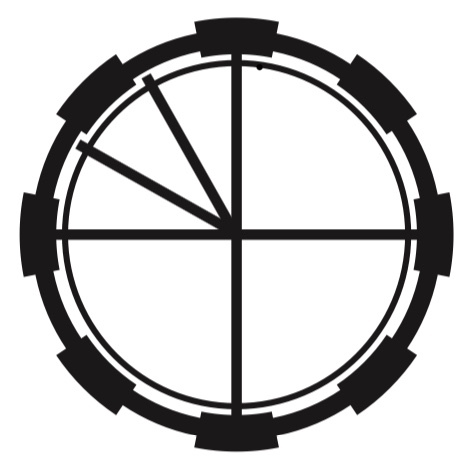 The Blades clock is single purpose – it has one consequence, and shows progress towards it (there are tools to make them more complex, but this is the default). For what I use clocks for (which is a BIG qualifier), I really enjoy the clarity and focus that a unitasker provides. It makes it useful for communicating to the rest of the tables (something that’s trickier with a keyed clock) and it allows me to go immediately from need to implementation without needing to stop and fill in the interstitial spaces. There is also a practical element of ease and flexibility – blades clocks are easier for me to draw, especially with different values2. This is far from insurmountable – we’re talking the difference in drawing a few extra lines – but when I whip out a sharpie at the table, it matters to me. So that’s why I like BitD clocks so much: they’re flexible unitaskers, and that aligns with my needs. But, importantly, this is not the fault of the tool. The 3-and-3 clock is a great model if you want to have an explicit upshift or escalation. 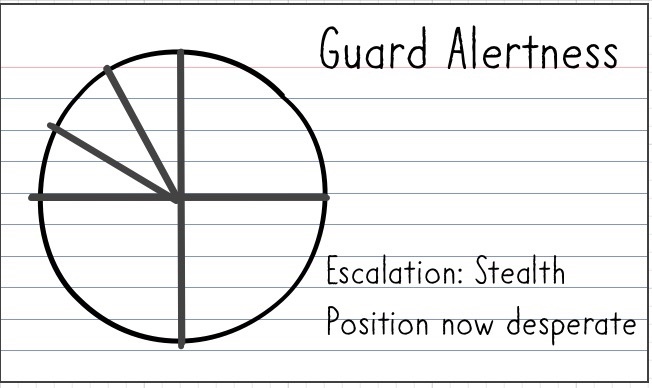 When I use a clock like that, I would not want to add a note or progression for every wedge – rather I would just want to explicitly note what happens when the escalation happens, since that’s the explosion, the limit break, the point when things go from bad to worse. That’s a great moment, and while that’s a little more work on my part, coming up with a second data point is a lot easier than coming up with 6 of them. Curiously, this also calls out why I like using tracks3 and trigger tables rather than clocks in certain situations. When I do want to have more context for the clock’s wedges or I want to do something weird with the progression through the clock, a track has the explicit advantage of giving more room to write. Small thing, but kind of important to me. This entry was posted in BladesInTheDark, PBTA on January 30, 2019 by Rob Donoghue. Almost every mechanical problem becomes easy to solve if you know what a player cares about, because once the player cares you have the tools to offer meaningful choices with real costs. Unfortunately, as useful as that information would be at design time, it isn’t. 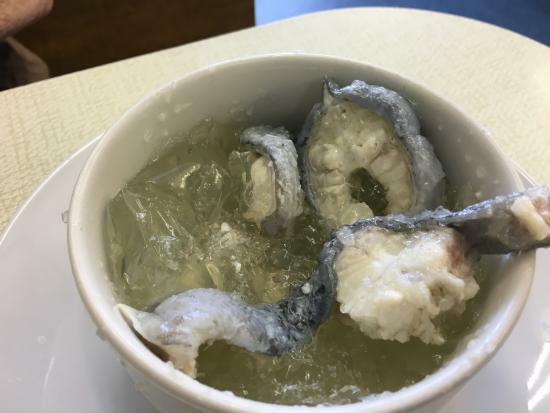 It comes up at the table. This is one of those reasons I tend to rate GMing over design in the priority stack, but that’s a whole other thing. So the designer has two options: first, she may assume the player has only self interest and design mechanics that put consequences into the character. This is pretty shallow, and a way to hack it involves putting more things onto the character sheet. It’s not a bad hack, but it’s got some awkward edges to it, and when it breaks it is not graceful. The other option is to presume that players are invested in something the designer values and just sort of hope the game finds the audience for which that is true. It may well do so, since that design decision is a flag for those players, so it may be fruitfully self fulfilling. Looking at those two-and-a-half options, I admit I’m wondering if there’s a third. So much of the judgement about care needs to happen at a personal level, I wonder if there are explicit tools to offer the GM to work with this. Some of the “put it on the sheet” mechanics feel like they might be usable in this fashion, but it’s going to take some thought. This entry was posted in Uncategorized on December 26, 2018 by Rob Donoghue. Wednesday night is, when possible, boardgame night at our house. It’s a high point of the week, and while we have a stable of favorites that we like to rotate through, it’s also an opportunity to try out new games. 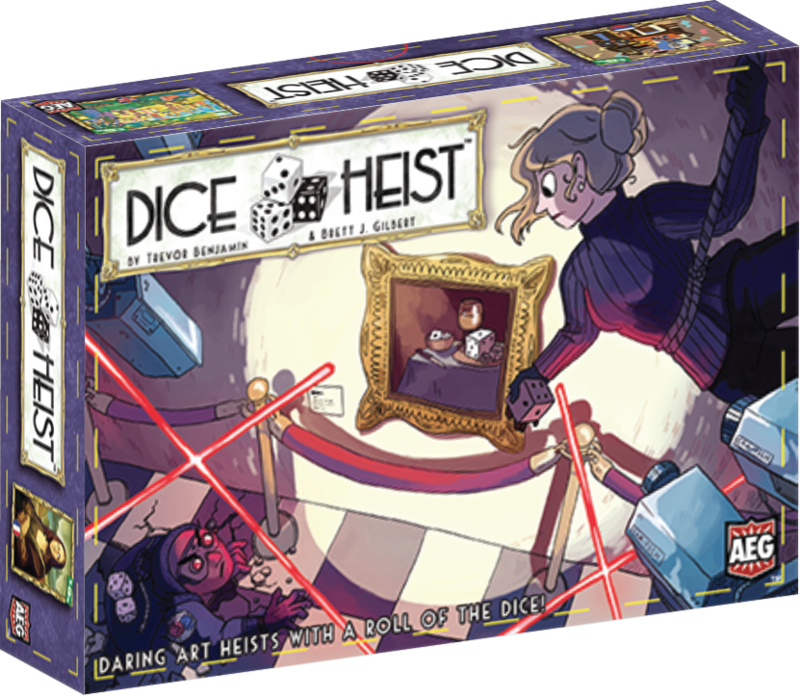 One of thise week’s new games was a Pax Unplugged acquisition; Dice Heist from AEG (who have been putting out some really fun stuff lately). I picked this up because it was small and cheap, promised a quick playtime, and was a theme I dig. It paid off on all fronts. Gameplay is simple. You have a single black d6 representing your thief, a pool of white d6s representing potential crewmembers, a deck of carts with various pieces of art on them, and 4 museums with different security ratings (2-5). Every turn a card is revealed and put “on display” in a museum. On your turn, you either recruit crew (which is to say, grab a white d6), or attempt to rob the museum. To rob a museum you roll your thief die and any number of your recruited dice and hope your best die is better than the security rating. If so, take all the cards at that location, and return your crew to the pool. If not, keep your crew and your turn is over. Game is over when everything is stolen, and there’s a scoring mechanic on all the stuff you’ve stolen which is definitely a scoring mechanic. This is fairly familiar press your luck play, but it goes quickly and smoothly enough that that would be fine, but actual play proved more nuanced than I expected. I had kind of expected the cadence to be “build up a crew, then use them once it’s worthwhile” but three things messed with that (in a good way). First, with no crew but your thief, you have a 2/3rd chance of successfully robbing the least secure museum, and a 50% chance of robbing the second. Second, the only penalty for failure is the wasted turn. These things combined to make players more willing to take a risk because the benefit of gaining another crew member had to be weighted agains the fact that somebody would probably succeed before the turn came around. Third, because you could choose how much crew you used, crew acquisition was a bit more calculated. Often, the choice to grab crew was made because the rewards weren’t tempting enough to try for, but the crew would then be stockpiled for future rather than immediate use. It made the decision more interesting than a simple rubric, and that delighted me. The upshot was that play was just fast and fun. It did not reward the conservatism that sometimes turns into a game of stockpile chicken, but it still rewarded thinking ahead and sometimes passing up immediate reward for future gains. I’m not going to say it was super deep, but it’s definitely fun. The game hits all the necessary notes (fast, simple, fun, quick) that earn it a place in my go bag of games. I also am filing it away for minigame purposes. The core mechanic is simple, but complimentary to games like Blades in the Dark or Don’t Rest Your Head, and I may yet find a way to squeeze it into downtime or otherwise jazz up a game with it, especially because it would not be hard to replicate the game with a deck of playing cards and a stack of D6s. This entry was posted in boardgames on December 20, 2018 by Rob Donoghue.